When the weather gets cold, and you go outside and see that your storm windows are cracked, we’re here to help. Our highly experienced team will ensure you get the speedy solutions you need. We provide on-site or in-shop repairs to suit your needs. Let our experienced team provide the screen repair or storm window services you need. Browse our site to find out more about what we offer. Find the primary window you need in wood, aluminum, or vinyl. 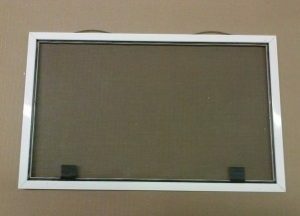 We offer window, screen, and door parts here, too, for the do-it-yourself homeowner. Contact us today. For over 40 years, our dedicated team has provided the highest quality services in window and screen repairs.